The human race has managed to survive, and thrive, this long as a result of our successful adaptation to the ever-changing forces of nature. The dietary foundation of our species is a crucial aspect of that survival and, even more crucially, it can help us in understanding the dietary health of modern man, specifically how to burn fat. 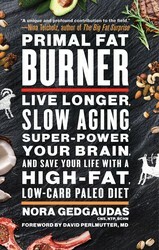 Here are the five principles of primal fat burning, from The Primal Fat Burner. 1. 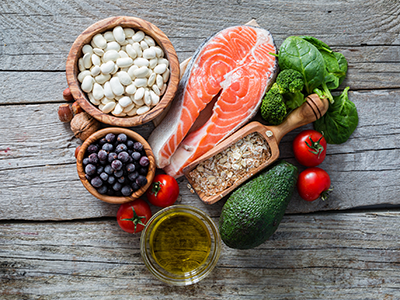 Value the fats your ancestors ate and include in your diet a variety of quality, natural, unadulterated fats from both animals and certain plants like coconuts, olives, macadamia nuts, and avocados. 2. Eliminate the damaging effects of sugars by cutting out processed foods, sodas, fruit juices, grains, and starches, along with artificially sweetened foods, and replacing them with fibrous vegetables, greens, and a few whole fruits (mainly berries) and nuts. 3. Shift the ratios of dietary macronutrients so that you get the majority of your calories from fats, a modest amount from protein, and a very small amount of sugars and starches from large amounts of fibrous vegetables and greens, including cultured varieties. 4. Choose foods to which humans are the most genetically well adapted, and obtain them from the most naturally produced, highest-quality sources. 5. Enhance your detoxification capacity by eating an abundance of phytonutrient-rich vegetables, drinking purified water, and, when needed, using quality supplements. Nora Gedgaudas, a widely recognized expert on what is popularly referred to as the “Paleo diet,” is a highly successful experienced nutritional consultant, speaker and educator. Her popular podcasts are widely listened to on iTunes, along with numerous free articles and a location on the homepage. She maintains a private practice in Portland, Oregon as both a Board-Certified nutritional consultant and a Board-Certified clinical Neurofeedback Specialist. She is the author of Primal Body, Primal Mind.